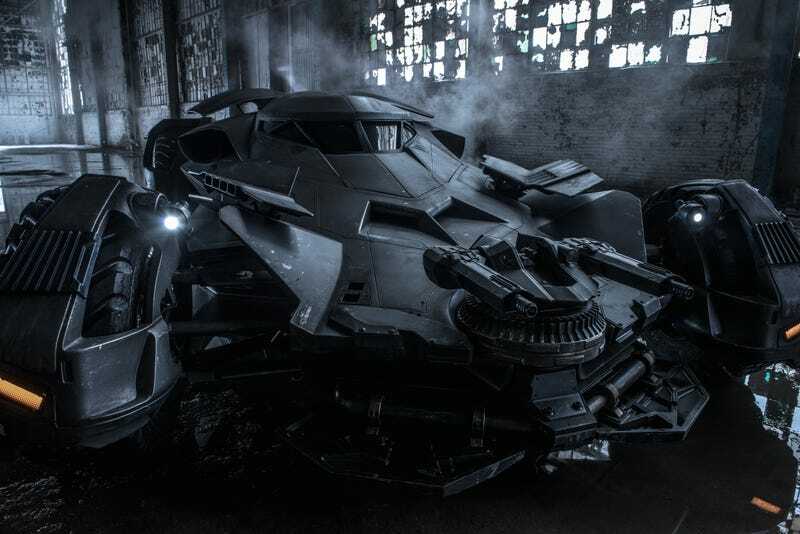 Another movie with Batman in it, another re-design for the Batmobile. This one looks like something halfway between a car and a tank. Visual re-imaginings for The Dark Knight's vehicle of choice have happened in nearly every Bat-film and in most of the other non-comic adaptations. This one's the bulkiest one yet, probably owing to the heavy reference that the movie will be making to Frank Miller's classic The Dark Knight Returns.